CILT is a Registered Charity under Canadian law. Your donation to CILT is tax deductible. You will receive an income tax receipt annually for cash donations over CAD $10.00. The donation you generously make goes entirely towards supporting the organization and its life-enriching programs and projects for hundreds of persons with a disability in Toronto and beyond. A $10.00 donation will subsidise one individual’s membership with CILT. Since 1984, membership in CILT has remained at $10.00. A $20.00 donation will subsidise one individual’s participation in an event. To date we have never charged consumers to participate in events. You may direct your donation to one of the above listed areas or make a general donation. Giving a general donation means CILT the will place your gift into the area that needs it most. To make a general donation, simply print the word “General” in the memo section of your cheque or select “General” from the drop-down menu on CanadaHelps.org. We now accept online donation in partnership with Canada Helps. To donate by credit card, PayPal or Interac, click the Donate Now link. You will receive a tax receipt directly from Canada Helps. 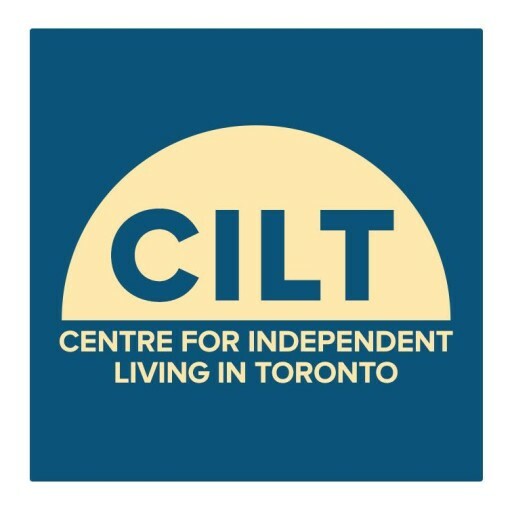 Cheques can be made out to “Centre for Independent Living in Toronto”. Please indicate “General Donation” or the specific area to which your gift is to be applied by printing it in the memo section of your cheque. A tax receipt will be prepared and mailed to you. You may also donate goods and services if they benefit our consumers, but you will not receive a tax receipt for your goods or services donation in compliance with Canada Revenue Agency regulations. Thank you for supporting the Centre for Independent Living in Toronto in serving persons with disabilities in our community!